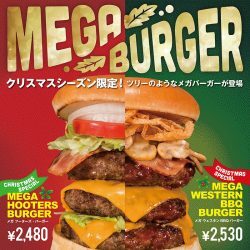 Christmas tree “Mega Burger” is now available! Enjoy this holiday season with our “Mega Burger” that is so tall like a Christmas Tree! You have a choice of Mega HOOTERS Burger or Mega BBQ Burger. 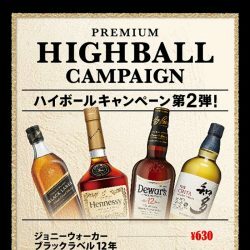 Enjoy Premium Highball at HOOTERS!